 Steel City Implants & Periodontics will only perform scaling and root planing after a thorough examination of the mouth, which may include taking x-rays and visually examining the mouth. Depending on the condition of the gums, the amount of tartar present, the depth of the pockets, and the progression of periodontitis,Steel City Implants & Periodontics may recommend scaling and root planing. In some cases, a local anesthesia may be used during the procedure. Antibiotics or irrigation with anti-microbials (chemical agents or mouth rinses) may be recommended to help control the growth of bacteria that create toxins and cause periodontitis. In some cases,Steel City Implants & Periodontics may place antibiotic fibers in the periodontal pockets after scaling and planing. This may be done to control infection and to encourage normal healing. When deep pockets between teeth and gums are present, it is difficult for Steel City Implants & Periodontics to thoroughly remove plaque and tartar. Patients can seldom, if ever, keep these pockets clean and free of plaque. Consequently, surgery may be needed to restore periodontal health.